…and achieve your long-term goals for the business that deserves a second honeymoon! 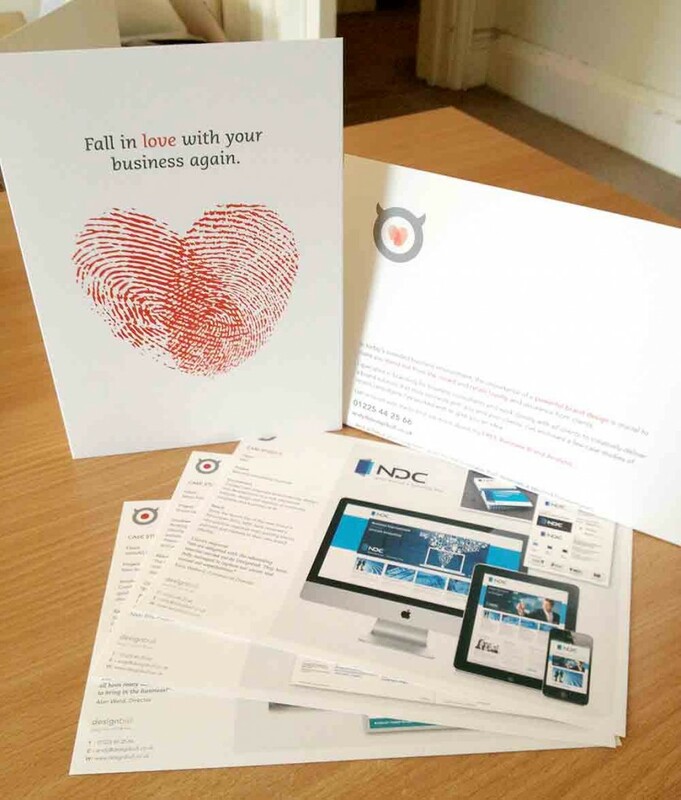 We specialise in creating professional brand identities and back in February, ready for Valentines Day, we sent out a number of quality, personalised greeting card mailers to a target market of fifty professional consultant businesses within our area. Each name and address was hand-written on the red envelopes to encourage opening. 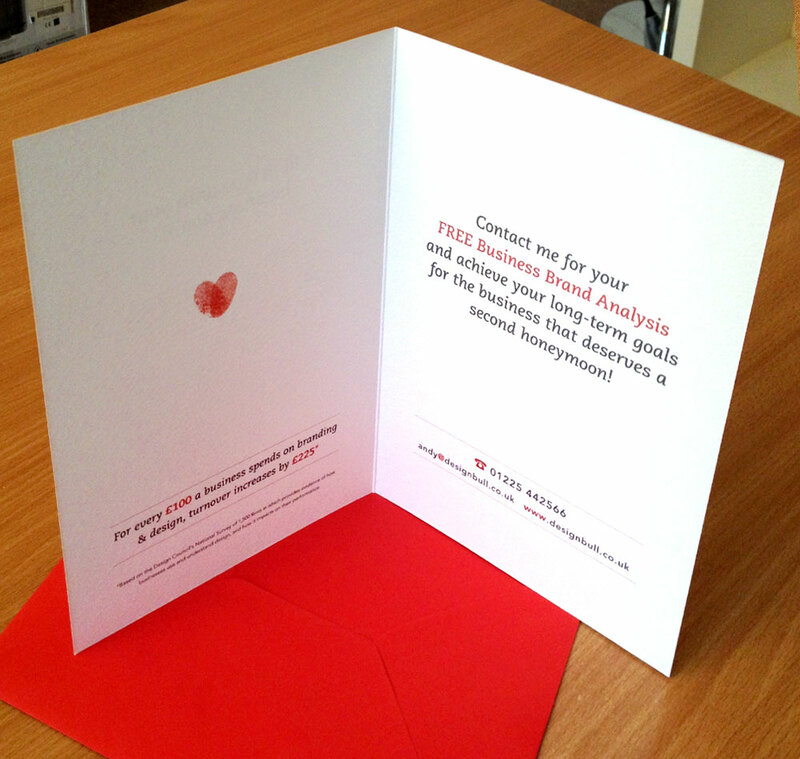 It contained an A5 ‘Valentines’ style card, an introduction letter and three case study cards showing our past brand designs for existing clients. The message, “Fall in love with your business again… and achieve your long-term goals for the business that deserves a second honeymoon!” was a call to those businesses who were either not happy with their brand identity or was expanding and wanted to update it to fit their new direction. It was followed up by a telephone call to see if they received it and were interested in our offer of a FREE Business Brand Analysis. 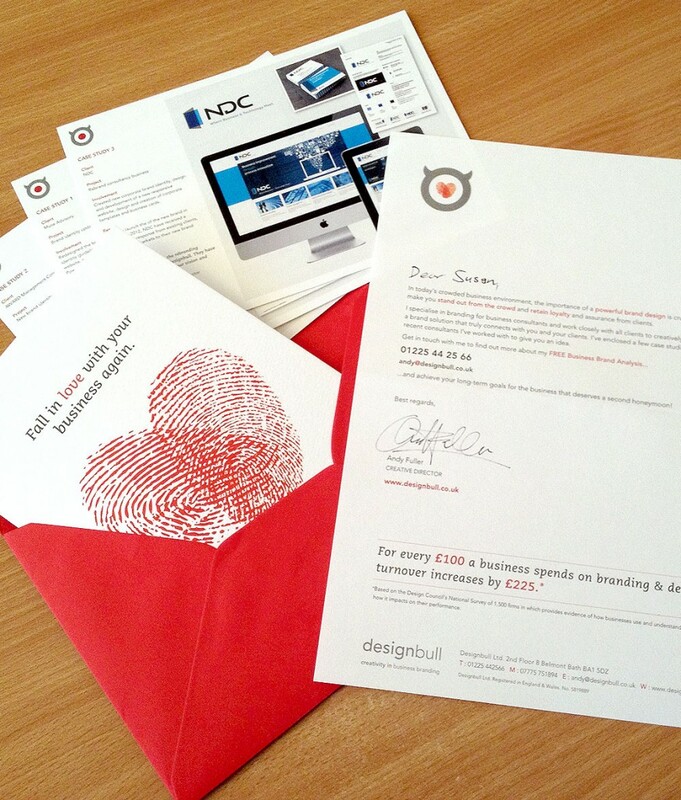 From all those we spoke to, they really loved the mailer – creating a really positive response overall. And from the 50 people we mailed out to, we received four very interested businesses who are now looking to rebrand by the end of this year (which we are now following up) and one where they came to our offices and went we took them through our detailed Business Brand Analysis to provide an outline brand analysis report on her business. So overall a great campaign for us in attracting new brand projects to our business. We’ll also look to repeat it again after refining our offering ready for next Valentines Day! For every £100 a business spends on branding & design, turnover increases by £225. This entry was posted in Design and tagged business branding, business consultants, fall in love with your business, free brand analysis.